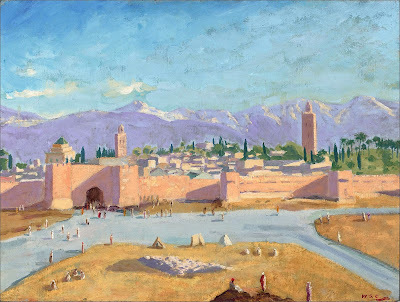 Morocco was a favourite destination for Sir Winston Churchill's painting trips, and as discussed in a post yesterday he stayed at La Moumonia Hotel in Marrakech. 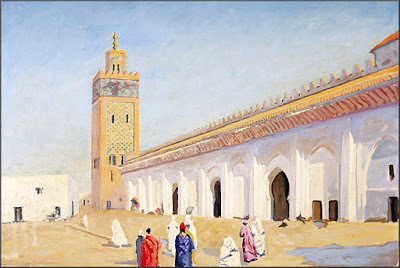 What is striking when reviewing Churchill's Moroccan paintings is the preponderance of Islamic subjects. 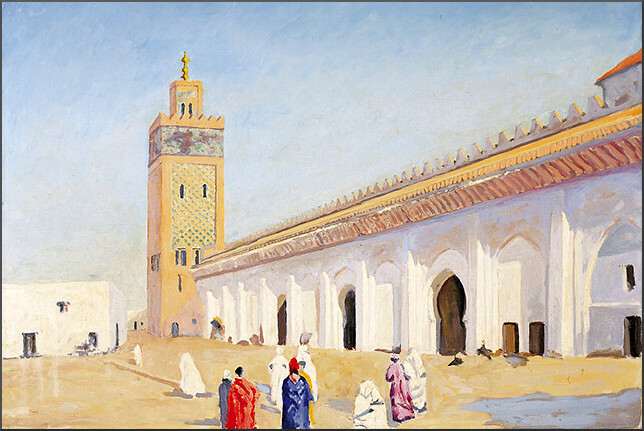 An example above is his 1948 painting of the Ben Youssef Mosque - famous for its madrasa - in Marrakech. Of course Morocco is a Muslim country rich in visual wonders, so Churchill's preoccupation with Islamic imagery may not be surprising. But there is another more tantalising explanation. 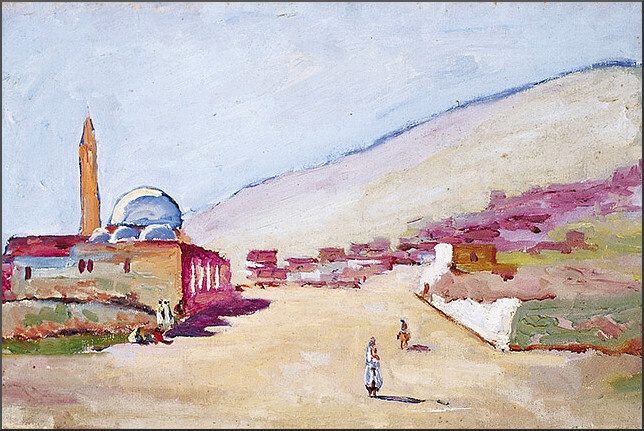 In a 1907 letter to Churchill his future sister-in-law, Lady Gwendoline Bertie pleads: “Please don’t become converted to Islam; I have noticed in your disposition a tendency to orientalise, Pasha-like tendencies, I really have. If you come into contact with Islam your conversion might be effected with greater ease than you might have supposed, call of the blood, don’t you know what I mean, do fight against it”. Surprisingly Churchill was a close friend of the the orientalist, and anti-imperialist Wilfrid S. Blunt who has been described as the "first Englishman to take up the lance for the Arabs": it is said that Churchill and Blunt together dressed in traditional Arab clothes in private. T.E. Lawrence - Lawrence of Arabia - was also close to Churchill and advised him during the post-First World War peace process. This intimacy with Islam was not a passing fad of Churchill's early career. In October 1940, when Nazi bombing of London was at its peak, he approved plans to build a mosque in central London. His war cabinet allocated a budget of £100,000 and Churchill remained a staunch supporter of what became the London Central Mosque in Regent’s Park. 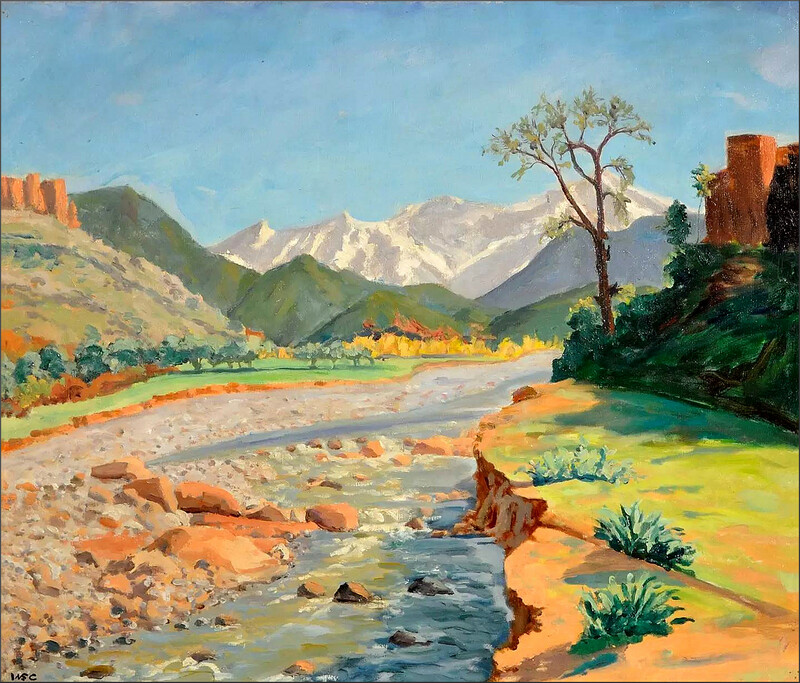 His love affair with Muslim Morocco continued throughout his life and he travelled outside Marrakech on painting expeditions: The view of the Ourika Valley above dates from 1948. When I visited this region recently I headlined my travelogue 'This is most definitely not health and safety territory'. What conditions were like for a traveller there almost seventy years ago is difficult to imagine. Churchill's fascination with Islam is at variance with his reputation as a a die-hard imperialist and quasi-racist. There is doubtless truth in this reputation: in his 1899 book The River War about the Mahdists separatists in Sudan where he had fought, he famously attacked Islam using these words: "How dreadful are the curses which Mohammedanism lays on its votaries! Besides the fanatical frenzy, which is as dangerous in a man as hydrophobia [rabies] in a dog, there is this fearful fatalistic apathy", and he made similar controversial comments about Jews and Mahatma Gandhi.